Changing consumer behaviour to reduce food waste is of increasing importance for sustainable food systems. 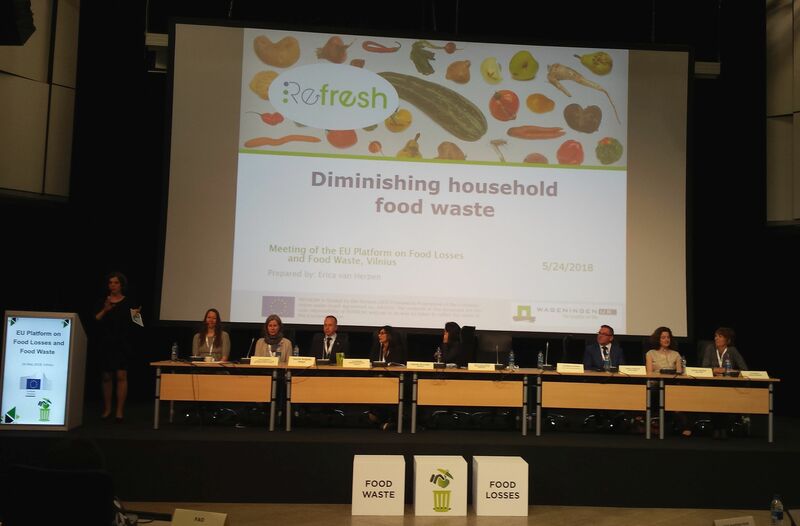 At its meeting in May 2018 in Vilnius, Latvia, the EU Platform on Food Losses and Food Waste has discussed this issue in an interactive panel discussion. Stephanie Wunder, Senior Fellow at the Ecologic Institute facilitated the panel discussion. Experts from different countries showed with illustrative examples how much the success of campaigns against food waste depends on strategic planning, identification of regional food waste patterns, evaluation of results and attracting media attention. The platform meeting also highlighted several results of the ongoing EU research project REFRESH (www.eu-refresh.org), for which the Ecologic Institute coordinates the communication activities. A full videostream of the event is available on the Platform website in English, Lithuanian, French, German, Spanish, Italian, and Chinese. REFRESH coordinator Toine Timmermans (Wageningen UR) presented "Towards a circular economy in food: the role of public-private partnerships" (05:22). Within the afternoon session on consumer food waste (7:17-8:52), Dr. Erica van Herpen (Wageningen UR) presented insights from REFRESH consumer behaviour research on food waste (7:55). David Rogers (WRAP) presented on consumer food waste behaviour change in the UK. EU Commissioner for Health and Food Safety Vytenis Andriukaitis also highlighted the REFRESH Community of Experts online platform.